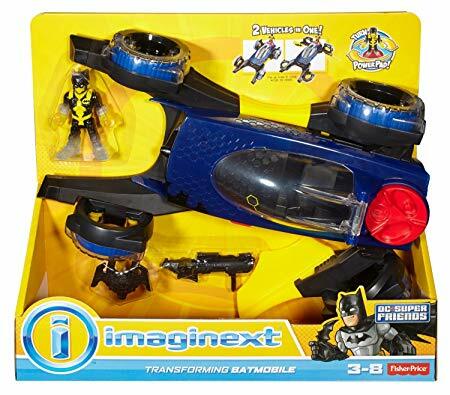 The Imaginext® DC Super Friends™ Transforming Batmobile is like having two vehicles in one! 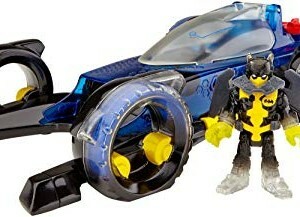 Turn the Power Pad on the back of the Batmobile to transform it into a jet. 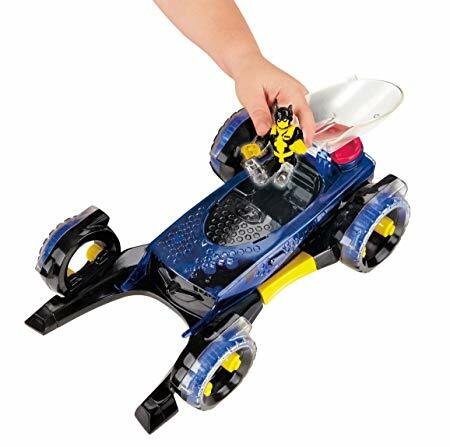 The front wheels drop down, the side skirts open and the back wheels form wings and jet engines! Press a button on the side, and the pilot will drop out. 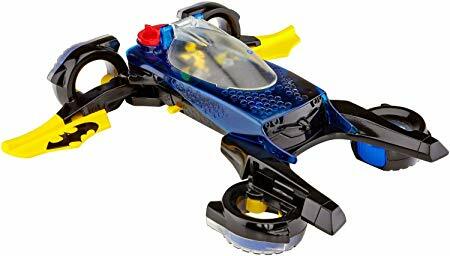 Little crime-fighters can take the battle to the streets, to the air — or both! Is it a BATMOBILE? Is it a BATJET? Actually it’s both, for twice the fun! Here’s the perfect vehicle for speedy arrivals, fast getaways and high-flying adventures! 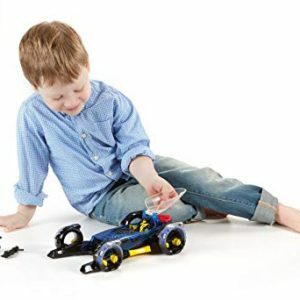 Driving kids’ imaginations on the ground, the Batmobile sports cool, see-through parts and unique hubcap-less wheels with room to fit Batman and in the cockpit! 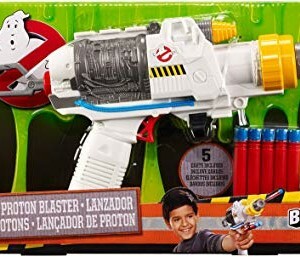 Ready to take the action to the skies? 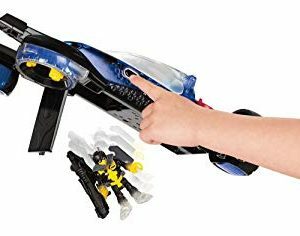 Turn the Power Pad on the back of the Batmobile to transform it into a jet. 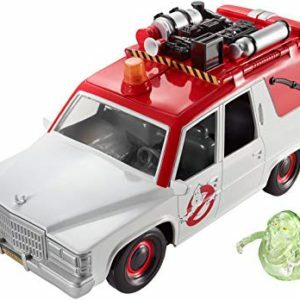 The front wheels drop down, the side skirts open and the back wheels form wings and jet engines! Press a button on the side, and the pilot will drop out. 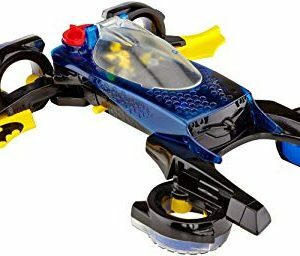 Little crime-fighters can take the battle to the streets, to the air — or both! It’s all up to their imaginations. 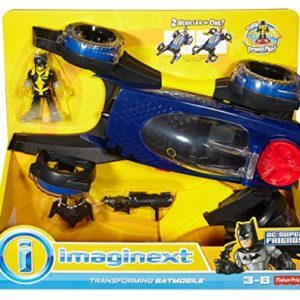 The Imaginext® DC Super Friends™ Transforming Batmobile is like having two vehicles in one! 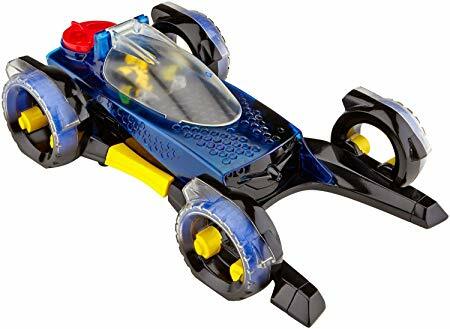 When Batman™ is fighting crime on the streets of Gotham City, the sleek, super-cool Batmobile with see-through parts, hubcap-less wheels and room for 2 Super Heroes steers young imaginations. When the battle takes to the skies, make it a jet! 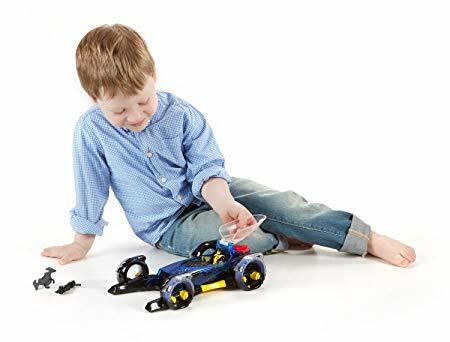 Turn the Power Pad on back to flip up the front wheels, open the side skirts and transform the back wheels into wings and jet engines. Trouble below? Push a button to deploy Batman™ and his jet pack to get him on the ground fast! 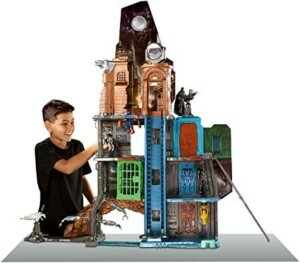 The Imaginext® Transforming Batmobile is packed with adventure at every turn, and kids are the ones to make it happen! 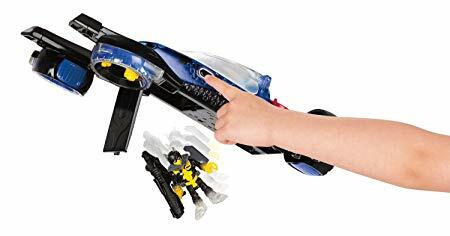 In addition to the Power Pad action, young superheroes’ hands are kept busy in lots of other ways: placing Batman™ and another Super Hero in the cockpit, (Each sold separately and subject to availability) pressing a button to eject the pilot, steering the Batmobile and flying the jet. “Don’t make a move! I’ve got you covered!” Children begin to create dialog between the characters and vocalize the stories they are playing out! 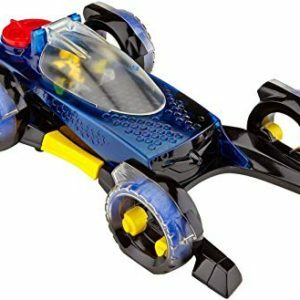 Plus, awesome features like the see-through Batmobile body, colorful tailfins and bazooka that fits in Batman’s hand help kids recreate their favorite DC Super Hero adventures – or create new ones of their own!